nike world campus parking structure | Cary Kopczynski & Company, Inc. Since the Nike campus was filling up faster than anticipated, the owner decided it was time for parking to go up instead of out. To this end, Cary Kopczynski & Company was retained to work with the architect and contractor in developing a unique design that would be both highly creative and economical. CKC designed the seven-story long-span structure with ductile frames to resist lateral loads in both directions, maximizing openness and visibility. 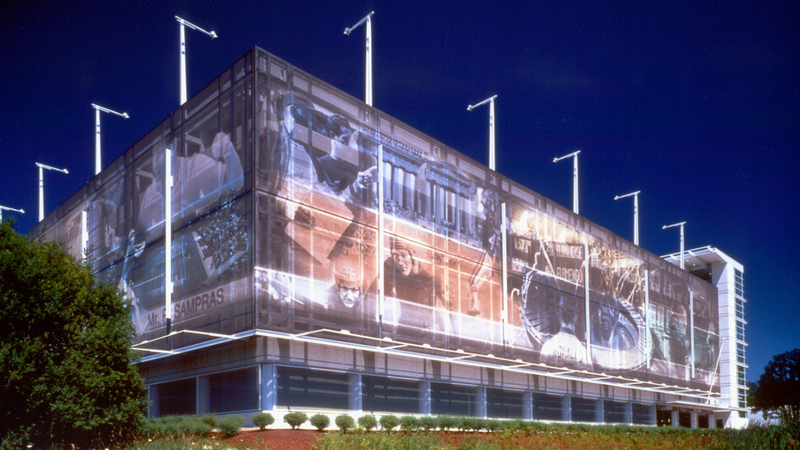 Three sides of the exterior are covered with fabric graphics panels representing sports activities. 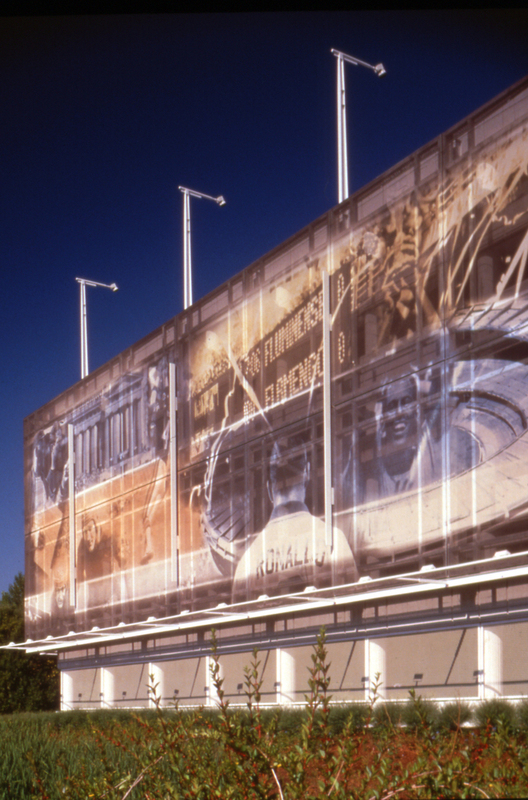 The perforated fabric used for the banners provides a stunning visual display while allowing natural ventilation. The project was completed on time and on budget.